Marshalltown Pre Worn Finishing Trowel 13" x 5"
Stainless steel permashape finishing trowel, with Durasoft handle. This trowel is "broken in" to eliminate lines and ripples from the start. 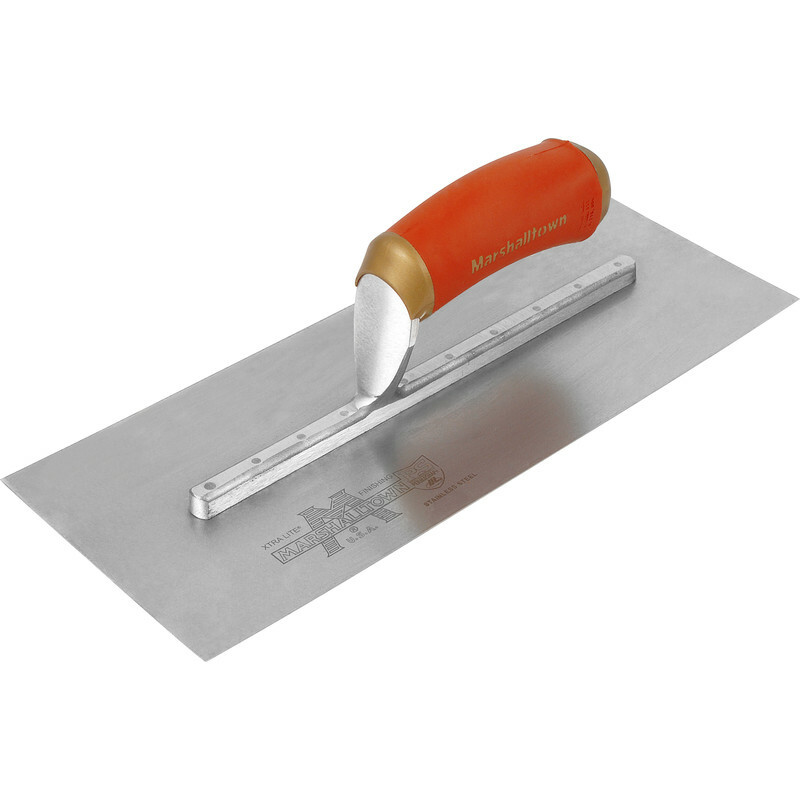 Marshalltown Pre Worn Finishing Trowel 13" x 5" is rated 5.0 out of 5 by 6. Rated 5 out of 5 by Bigeebie from Great purchase! Excellent trowel straight from the box. It definitely pays to use a quality trowel, best finish I've achieved by far. Rated 5 out of 5 by TrePolPen from Quality product A well made trowel and gave good results. I'm an amateur plasterer and need all the help I can get. All the YouTube videos I watched stressed the importance of using a good Trowel. I'm glad that I paid the extra few quid.